Light filled Addison Court townhouse Located in Society Hill, The extra wide Gate House is located on a quiet cobblestone courtyard and has 4 exposures. 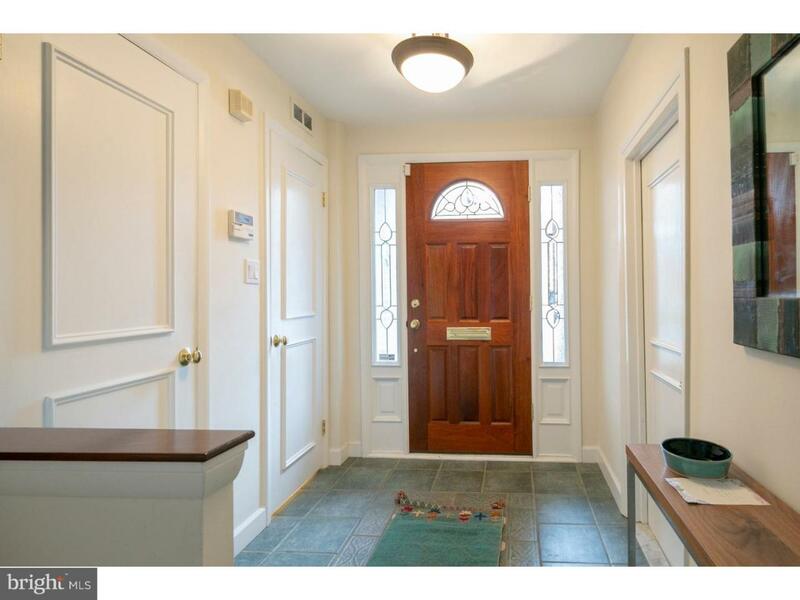 3 bedrooms 2 1/2 bath contemporary/traditional has GARAGE plus possible 2nd car parking. 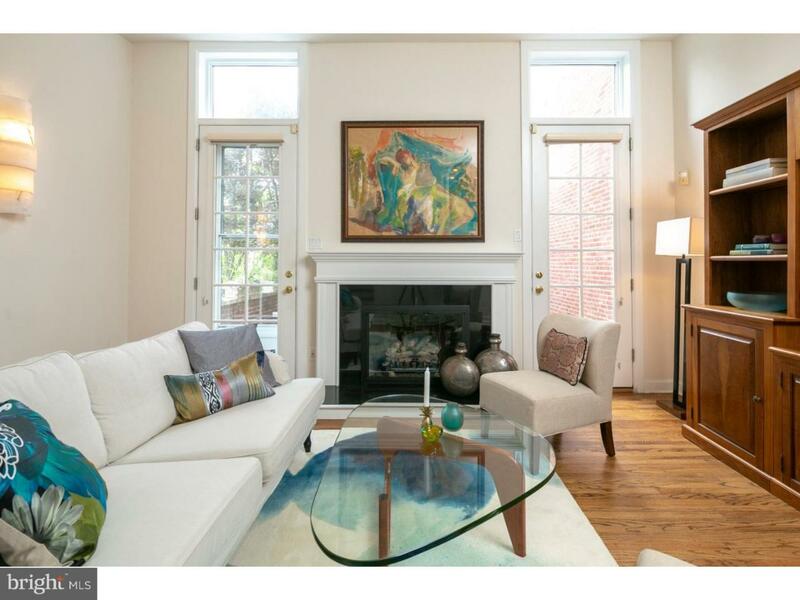 Pristine condition with oak hardwood floors throughout. 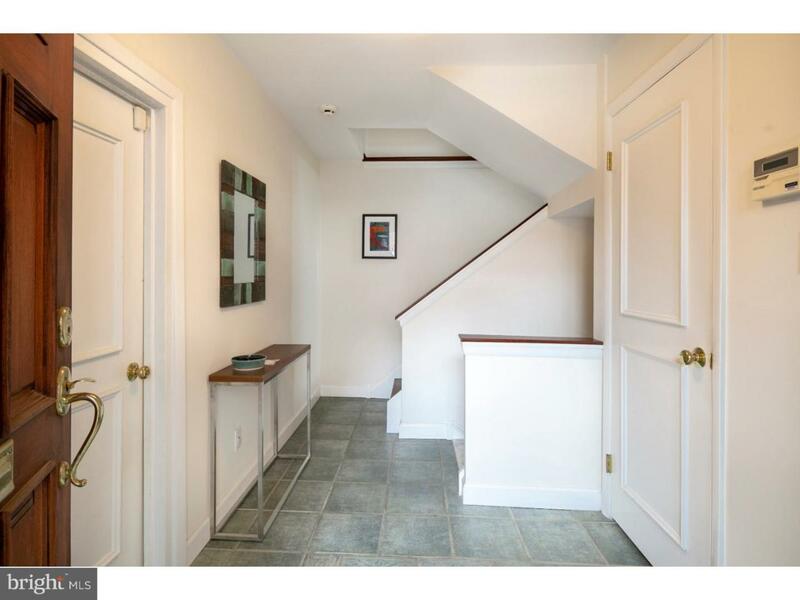 Large entry foyer with tumbled stone inlaid floor, Powder Room, Coat Closet and inside access to garage. Steps down to partially finished basement with washer and dryer and mechanicals..Large high ceiling Living Room with gas fireplace and French double doors leading to south facing garden. Separate dining room 1/2 flight up, on corner with windows overlooking courtyard Well appointed kitchen with granite counters, custom cabinetry, stainless appliances..gas cooking and built-in microwave. 2nd Floor Master Bedroom with large windows, plantation shutters overlooking garden. Large tile bath with tub/shower. 2nd bedroom/study with double doors to sundeck. Large closets in all bedrooms. 3rd Floor bedroom, marble shower and large sundeck with amazing city views.